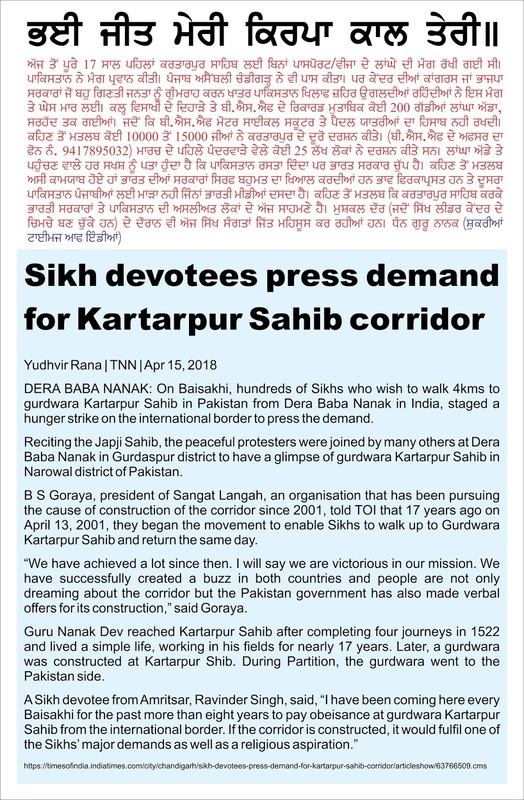 On April 14, 2001 the Sikhs launched peaceful movement demanding passport/visa free passage to border shrine Kartarpur sahib where Guru Nanak passed away in 1539 AD. 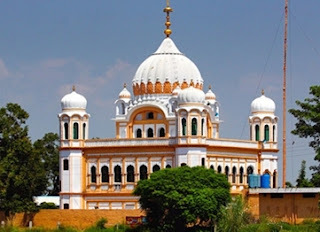 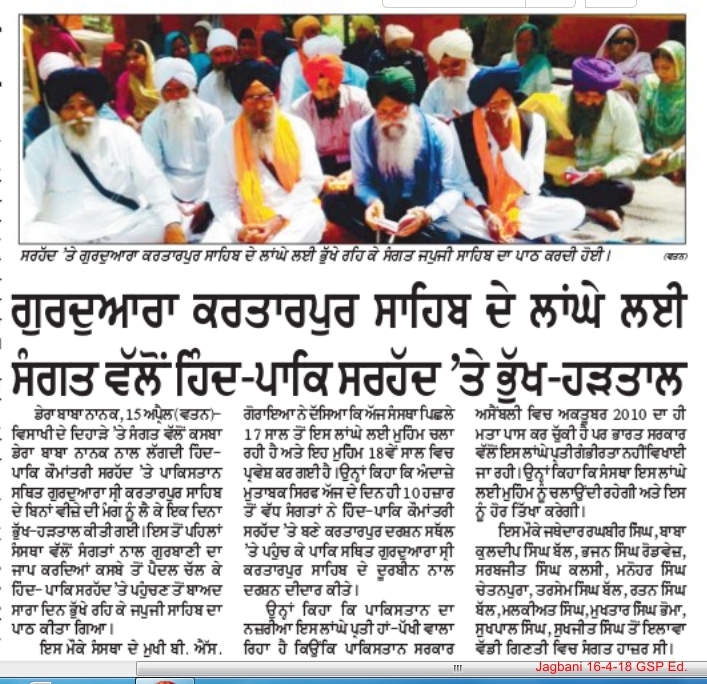 Pakistan Govt in whose territory lies Kartarpur sahib was prompt to say yes to Corridor demand while India has maintained calculated silence on it notwithstand that the East Punjab Legislative Assembly has passed a unanimous resolution in favour of Corridor proposal on Oct. 1, 2010. 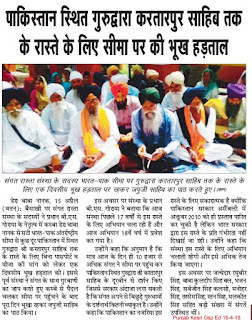 Despite Delhi's cold shoulder the Sikh masses extended overwhelming support to the movement. 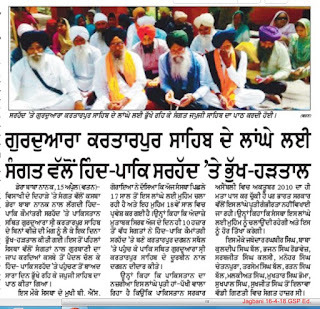 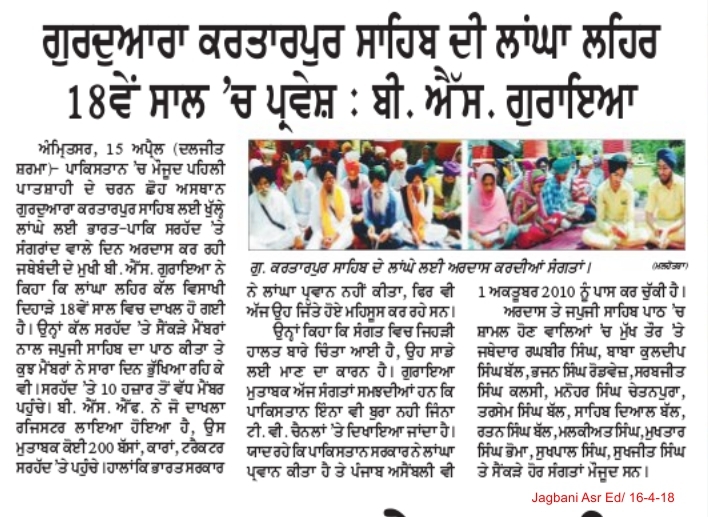 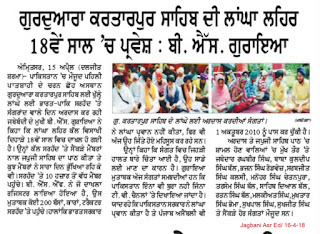 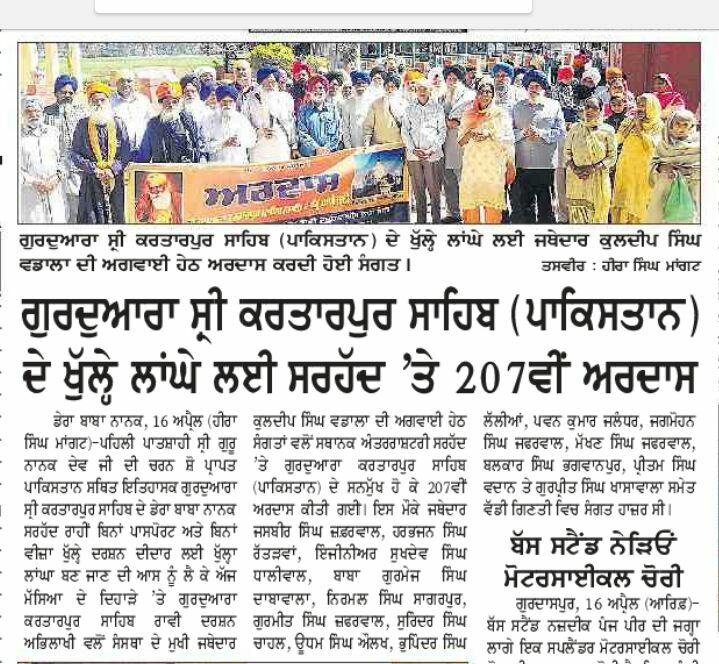 So much so in the first fortnight of March 2018 as much as 25 lac devotees had 'darshan' of Kartarpur from border. 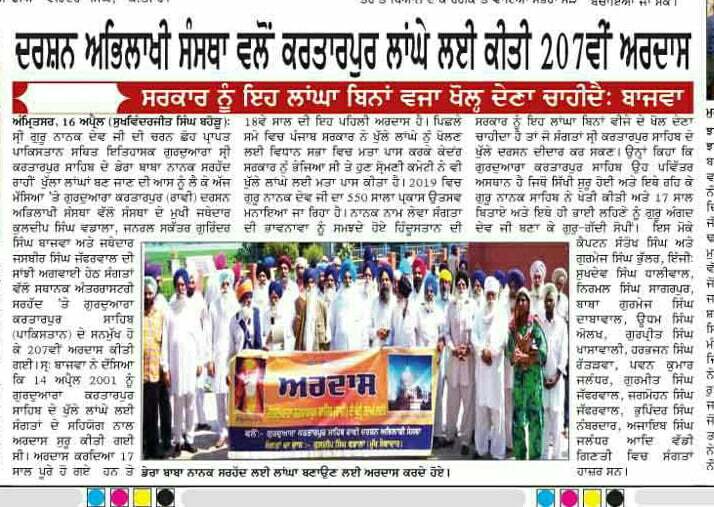 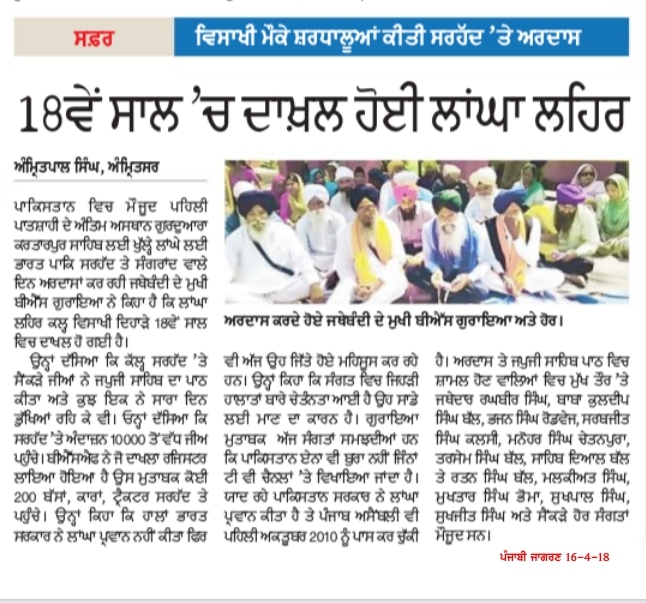 This Vaisakhi (14-4-18) we gathered on Border to celebrate the 18th anniversay of our movement and more than 10,000 people participated in it. 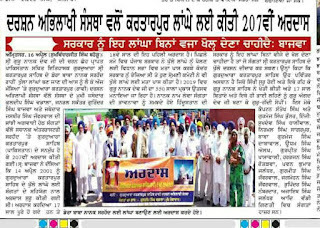 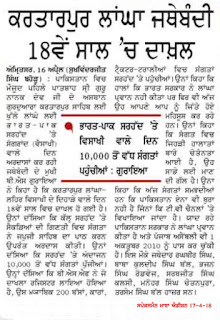 We have not got Corridor, yet we feel triumphant, for we have been able to unmask the real face of Delhi towards Sikh minority. 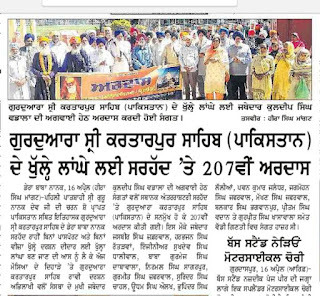 Because who so ever reached at Corridor Point on border returns with the message that Pakistan is ready to give Corridor but Indian Govts. 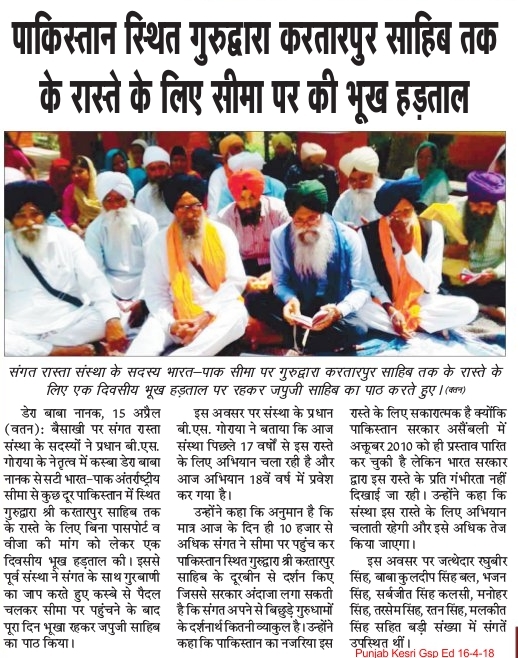 are not in its favour. 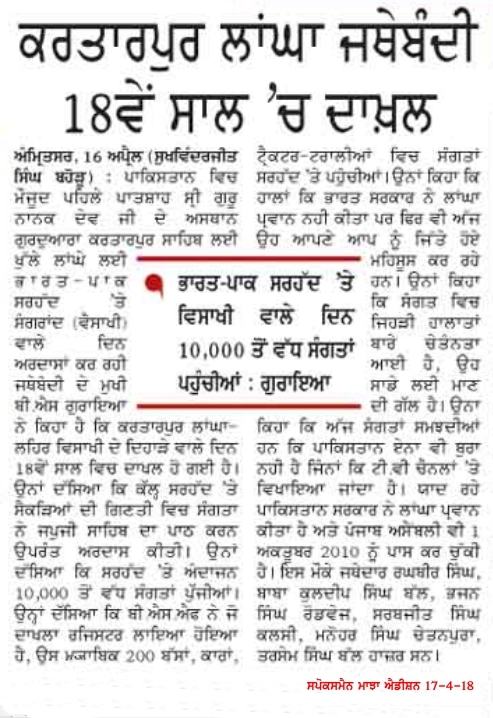 So Pakistan is not bad at least for Punjabi and Indian channels piosonous propaganda against Pakistan is misfounded. 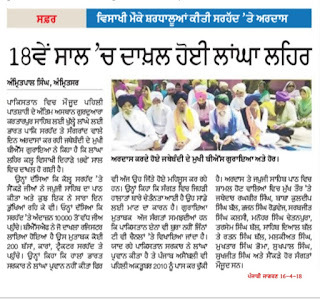 Here under are media reports on successful completion of 17 years of our peaceful movement.